Tim Brown, the 1987 Heisman Trophy winner at the University of Notre Dame, enjoyed a lengthy and successful 17 season NFL career. 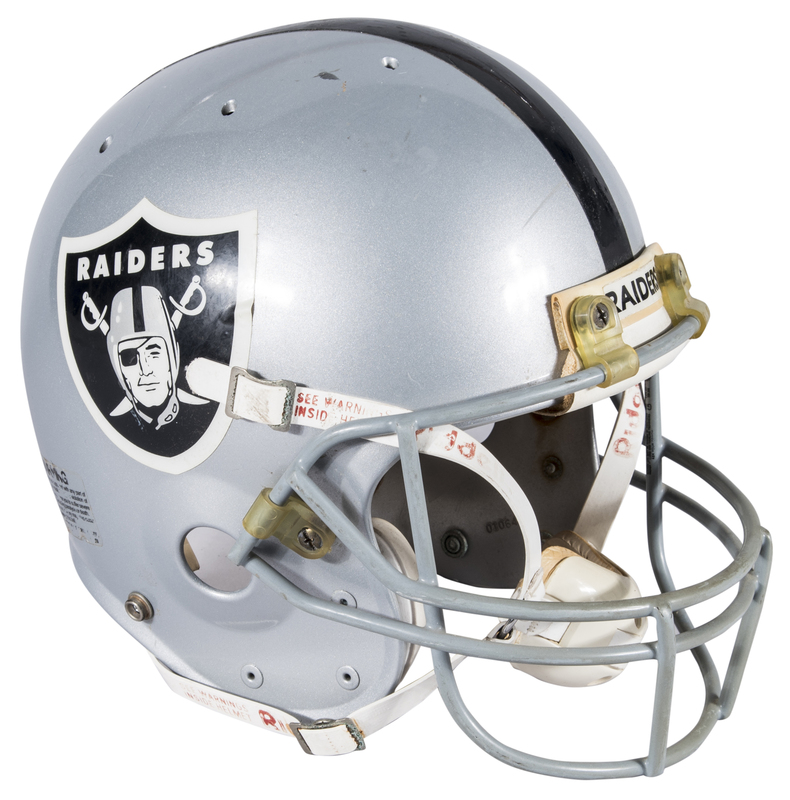 16 of his NFL campaigns were spent with the Los Angeles/Oakland Raiders, with whom Brown recorded 14,734 of his 14,934 career receiving yards. 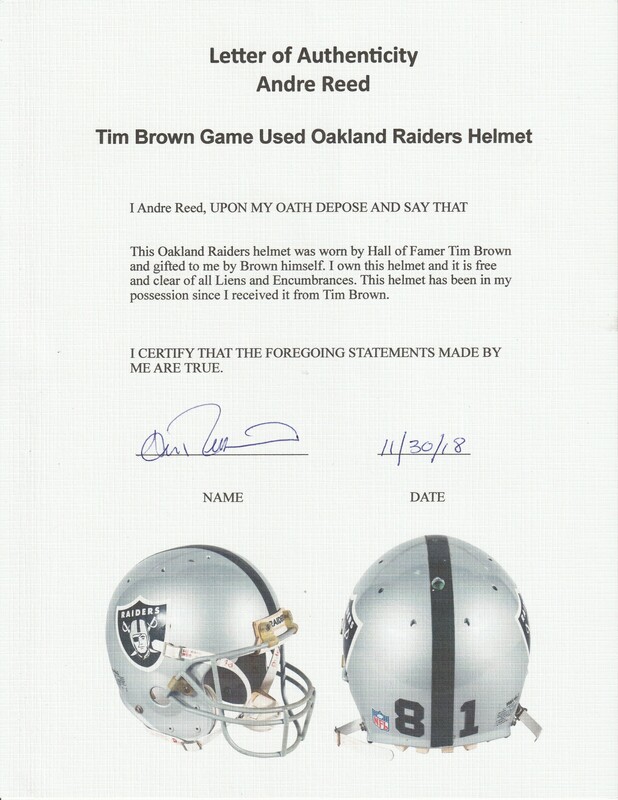 Brown strung together nine consecutive years with over 1,000 receiving yards from 1993 to 2001 and finished his career with nine Pro Bowl appearances and 100 receiving touchdowns. In 2015, Brown was inducted into the Pro Football Hall of Fame, six years after his induction into the College Football Hall of Fame. Presented here is a silver Raiders helmet worn by Tim Brown during his Hall of Fame professional career. 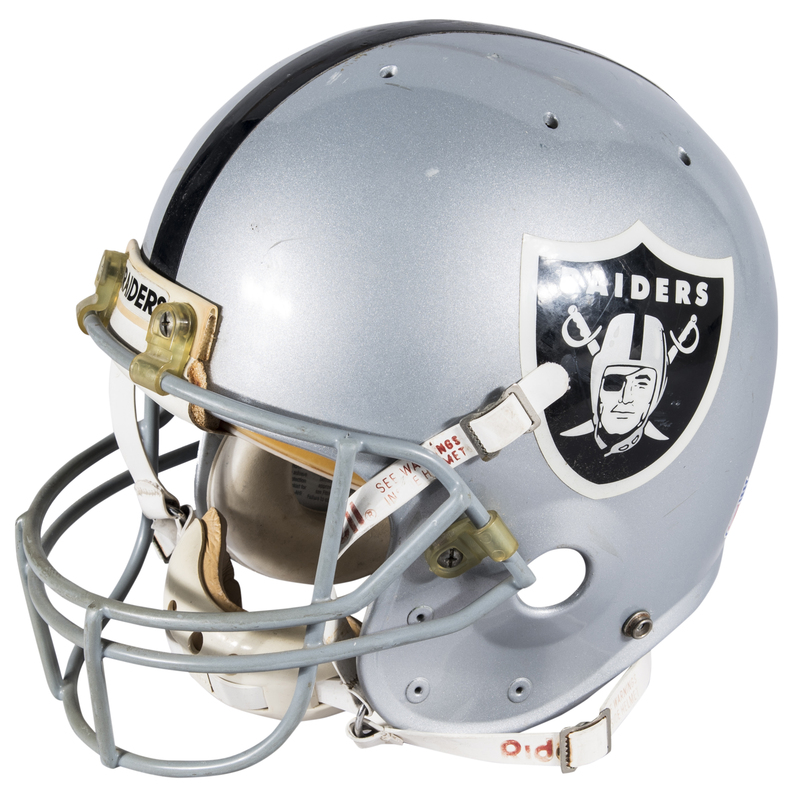 The Raiders logo is applied to each side of the helmet, which is bisected by a thick black stripe. 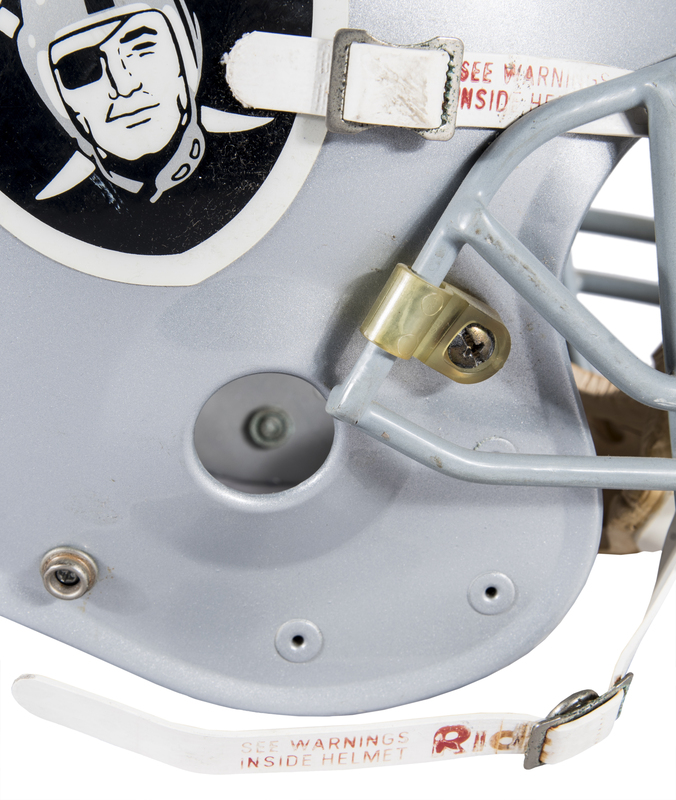 The facemask is gray, and a Raiders bumper is situated on the forehead. 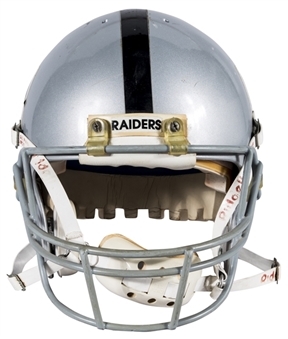 A Riddell chinstrap is present on this helmet. 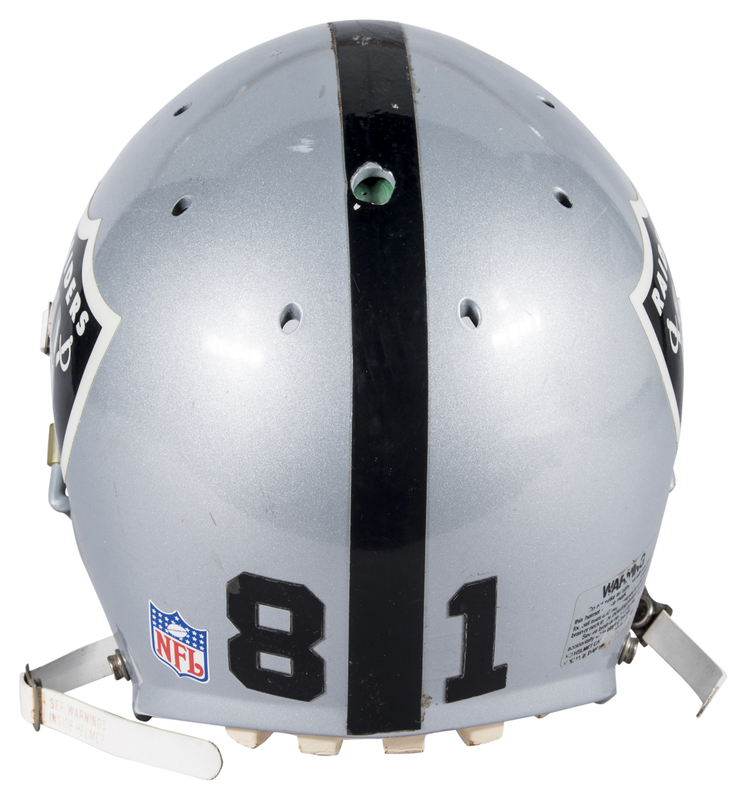 Brown’s “81” is applied to the back of the helmet next to a NFL logo decal. Please note that the interior padding on the left ear flap is missing. 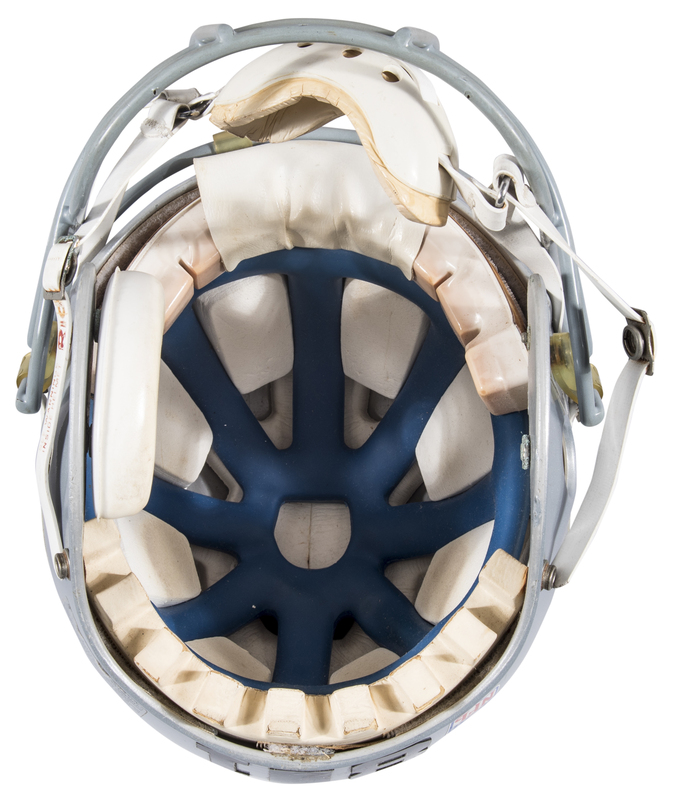 This helmet comes with a LOA from Brown’s fellow Hall of Fame wide receiver Andre Reed.